I really wanted to like this book. On the surface, it’s got it all: in the 1930s Portia Adams moves from Toronto to London on her mother’s death, and she discovers she inherited the famous apartment at 221B Baker Street. With the help of her guardian, the ~mysterious~ Mrs. Irene Jones, Portia starts investigating her ~mysterious~ grandfather… I’m using the term very loosely here, since the solution of this mystery is immediately obvious thanks to the anvil-sized hints that everyone keeps dropping. In fact, I was almost surprised by the predictable plot twist because I’d started to think that it was too obvious and her grandfather couldn’t possibly be… well, spoilers. In this case, my reading history works against me. I’m a big fan of Sherlock Holmes, I’ve read all the stories and watched my fair share of adaptations. Sometimes there are books that offer a fresh take on the Arthur Conan Doyle canon. In this case, though I couldn’t buy into Portia’s connection to the canon characters. It’s like with Robert Downey Jr: I enjoy his films but he’s not Doyle’s character. Moreover, Portia has a rather bland personality, and the secondary characters have no personality at all. There’s the constable with “future love interest” stamped on his forehead, the Scotland Yard inspector who’s suitably impressed by the 19yo detective, the ~mysterious~ Mrs. Jones and… not many others. The book is divided in four parts: the first is about Portia leaving Toronto, the others are three different mini-mysteries. Unfortunately, the book’s sluggish pace and the lack of interesting characters made it a chore to finish it. The second case (the mysterious illness) was by far the most interesting. The gothic atmosphere reminded me of the canon stories and the plot was ingenious. Unfortunately it was also the case most riddled with mistakes, such as “reticule” (a small purse) used to mean… a cupboard, I think? Given the amount of beta readers cited in the acknowledgements, I would have expected to find way less grammar mistakes, plot holes, or stray Americanisms. 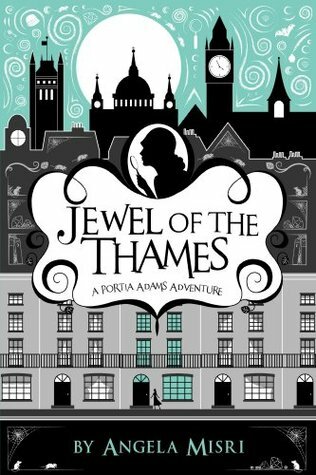 Overall, while I’m not thrilled by this book or its heroine, I think it might appeal to people who are less of a Holmes fanatic and prefer light mysteries.